Dead Week rumors: will they find a solution? Over the past several years, conversation about “dead week” has emerged between faculty and students. The rumors have begun this semester, and The Academic Council has begun the annual process of coming up with a solution to this controversial issue. According to Kyzer, the Academic Council is the group that considers any changes in curriculum and then sends it to a faculty vote. “Just this week the chair of the council, Dr. Mary Eskridge and I sent an email to the student representatives that serve on the Academic Council to bring a formal proposal to the Council in November. The student reps are Ben Siems and Emily Gammill, if you would like to let them know your thoughts,” Kyzer said. 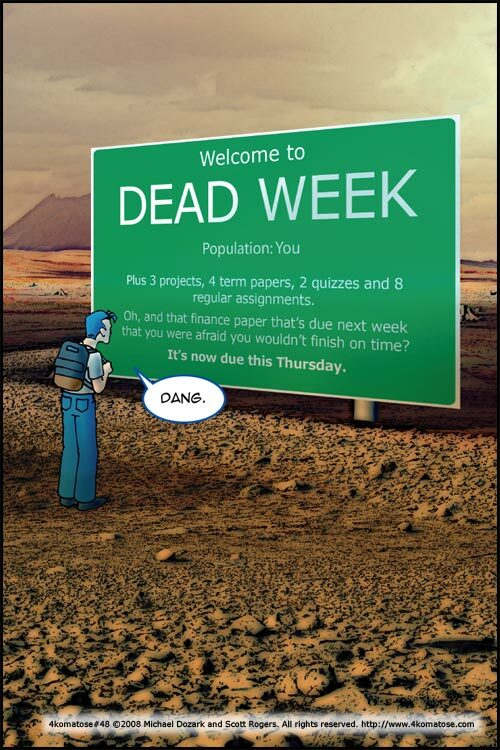 “Dead week is brought up just about every year at the Academic Council and/or Cabinet Chat. We have never had a formal proposal brought to the Council, even though it has been discussed at this level multiple times. I think students and faculty have different thoughts on what it should be. I am hoping we can come up with some options to consider and find something that is workable for all of us,” she said. As far as benefits of dead week go, professors would have more time for grading and students would have more time to prepare for finals without assignments and exams. However, it could have a negative impact if professors do not have enough weeks in the semester to complete all of the material that is necessary for them to cover. The whole purpose would also be defeated if students did not actually use this extra time to prepare for exams. Those who have strong opinions or ideas for change when it comes to dead week should make sure to contact one of the representatives to have a say in the possible changes being made.